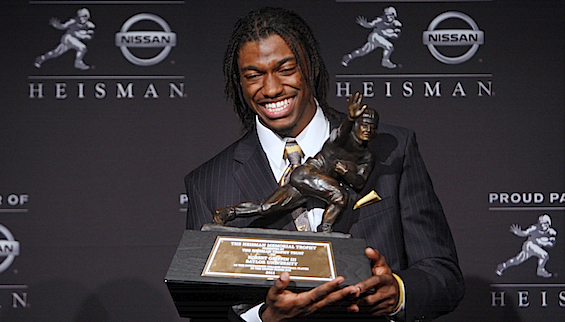 The statement above is etched in stone today, but how many of you would have actually entertained the thought of RGIII winning the Heisman before the start of this season? 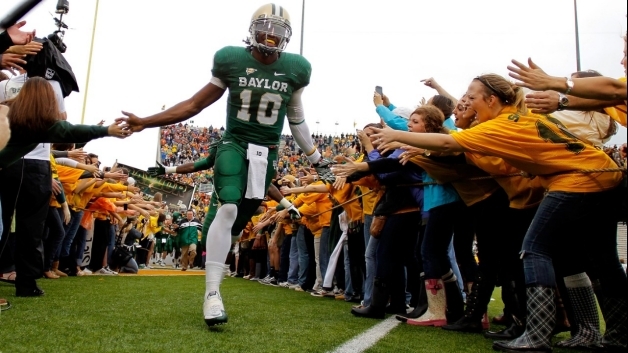 I mean I certainly thought that Baylor would be a SLEEPER team this year because of the fact that RGIII raises the Bears’ level of play, but I never envisioned him taking home the highest honor in all of college football. 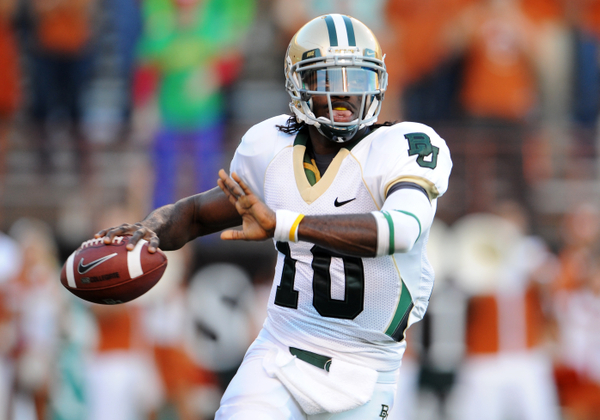 I’m not necessarily shocked that a player of RGIII’s caliber won the Heisman; I’m just more surprised at the fact that he won the trophy while wearing a Baylor uniform. Before yesterday, the university had never seen a Heisman trophy up close and personal, so the fact that RGIII was able to bring it back to Waco is truly special. Football is certainly a team sport, but every now and then a player comes along who seemingly carries everyone on his back. We’ve seen this before at powerhouses such as USC (i.e.-Reggie Bush), Texas (i.e.-Vince Young), and even this season at Michigan (Denard Robinson). The reason why Robert Griffin’s story is remarkable is because Baylor isn’t one of those schools were the name alone draws in athletes. Those aforementioned college greats had the benefit of playing alongside teammates who were also highly recruited. Baylor is a lower-tier program from the state of Texas. UT, A&M, and the Sooners swoop up most of those top-notch athletes so the fact that this standout from Copperas Cove, Texas decided to take his talents to BU over other big-name universities makes his story unique. Baylor doesn’t have a winning-tradition, and up until this season their best conference record had been 4-4, which was set in 2010. This season, RGIII has thrown for nearly 4000 yards (3998) with 36 touchdowns passes while also rushing for 644 yards and 9 TD’s. Griffin can definitely make plays on the ground if necessary, but when compared against other famous college dual-threat quarterbacks he’s more of a complete passer. You can’t put him in a box and label him strictly an athlete playing the quarterback position; RGIII is a quarterback who’s also an athlete. 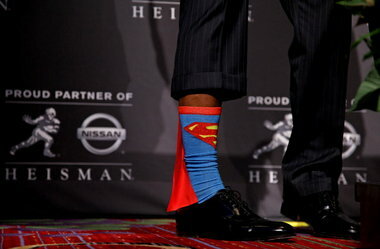 There’s a difference…You must respect his game.